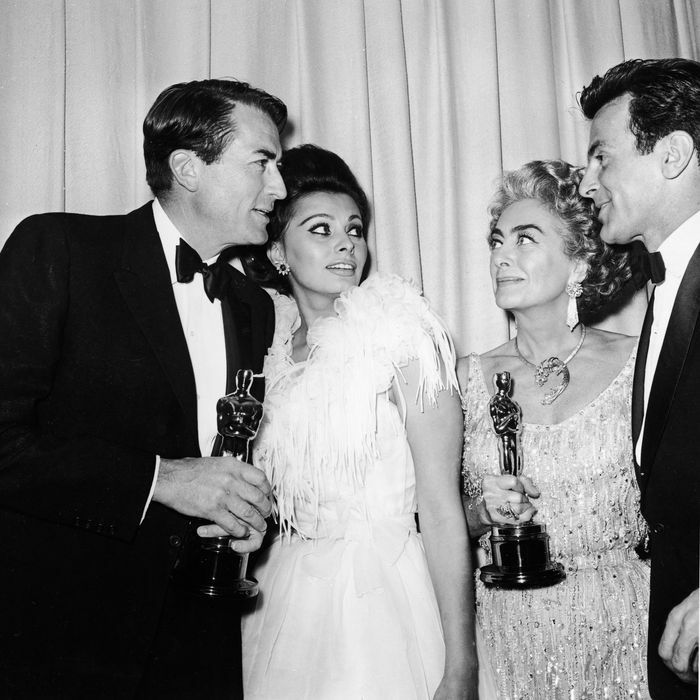 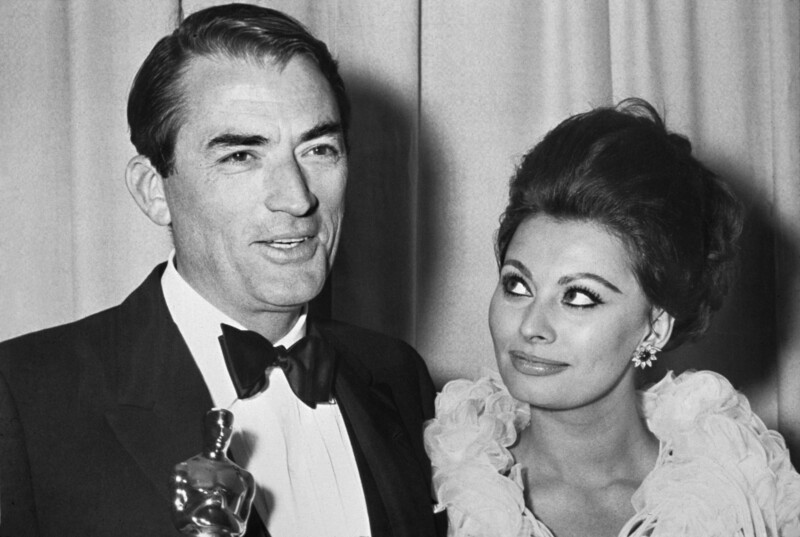 1963 Oscars: Joan Crawford and Patty Duke, Best Supporting Actress 1962 for "The Miracle Worker"
L-R: Gregory Peck, Sophia Loren, Joan Crawford, and Maximilian Schell stand backstage at the Santa Monica Civic Auditorium, Los Angeles, April 8, 1963. 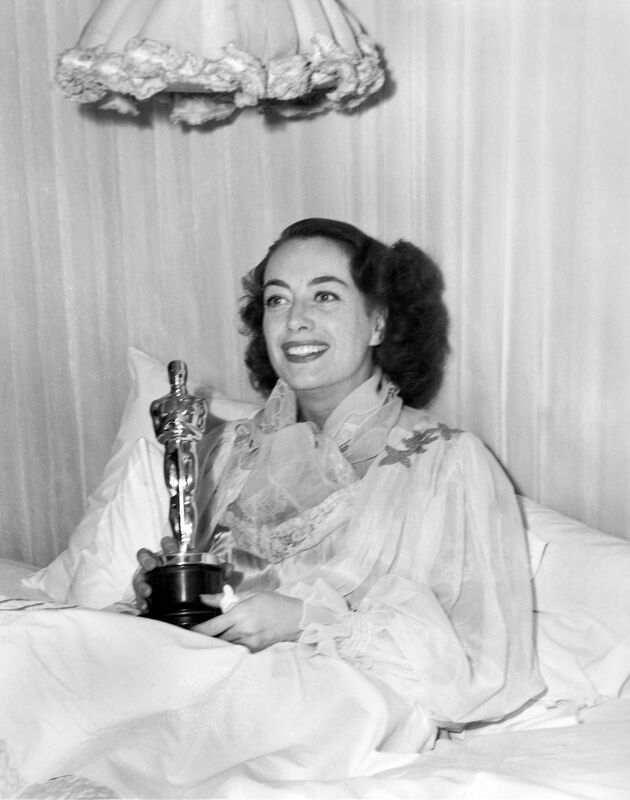 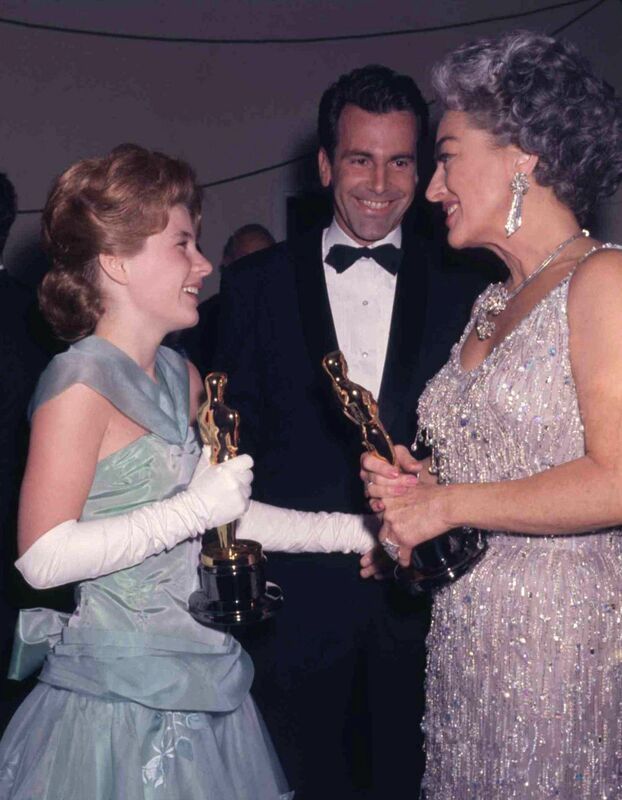 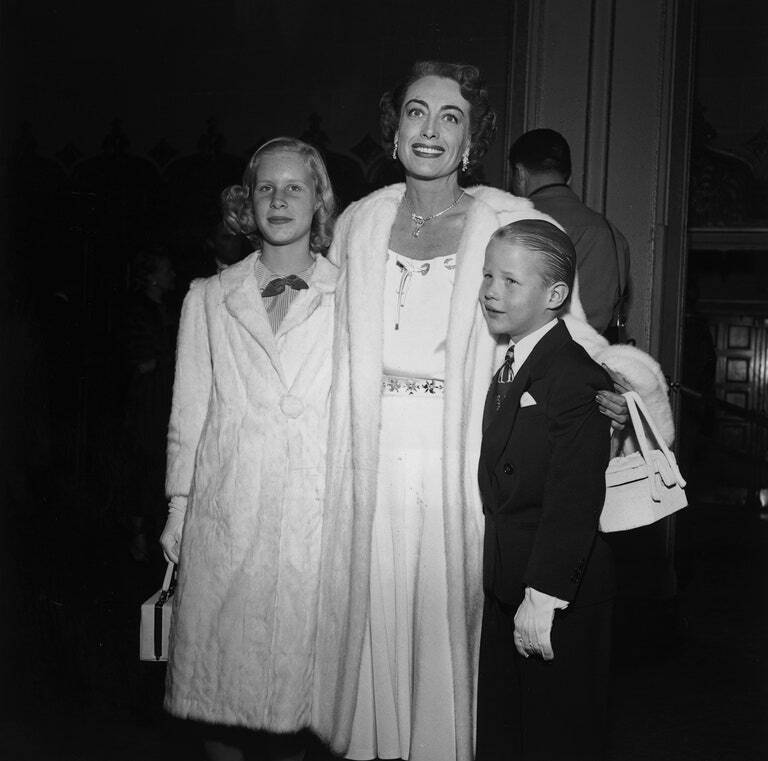 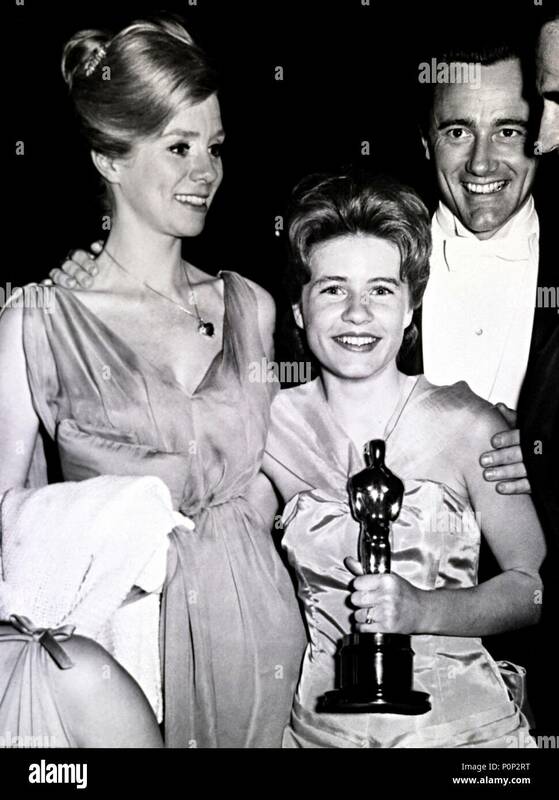 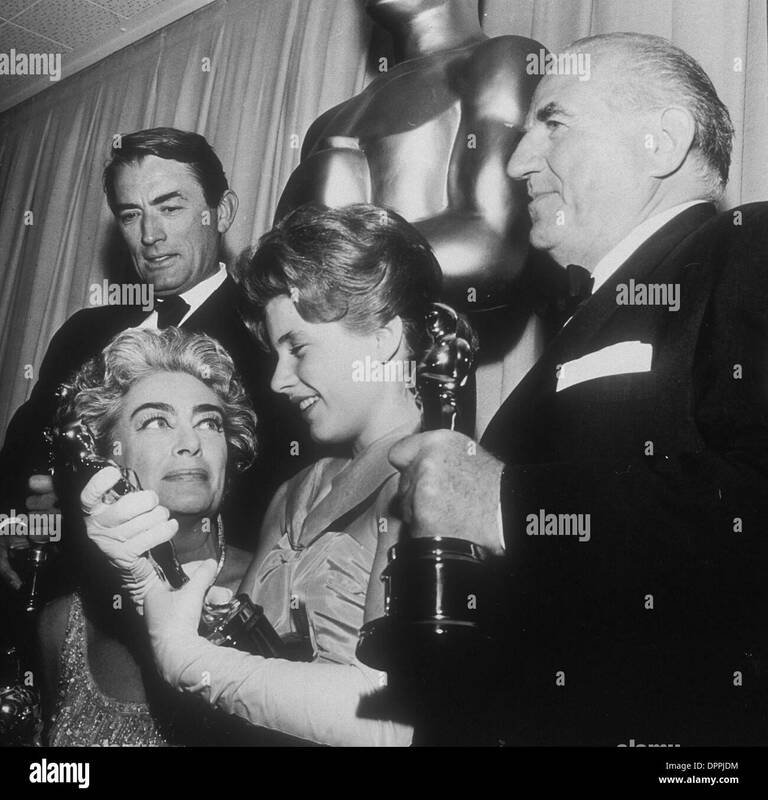 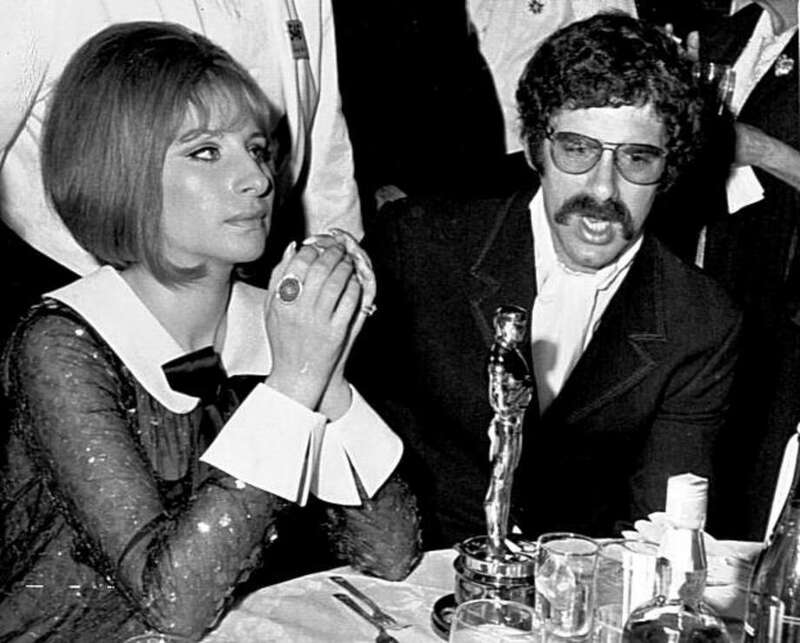 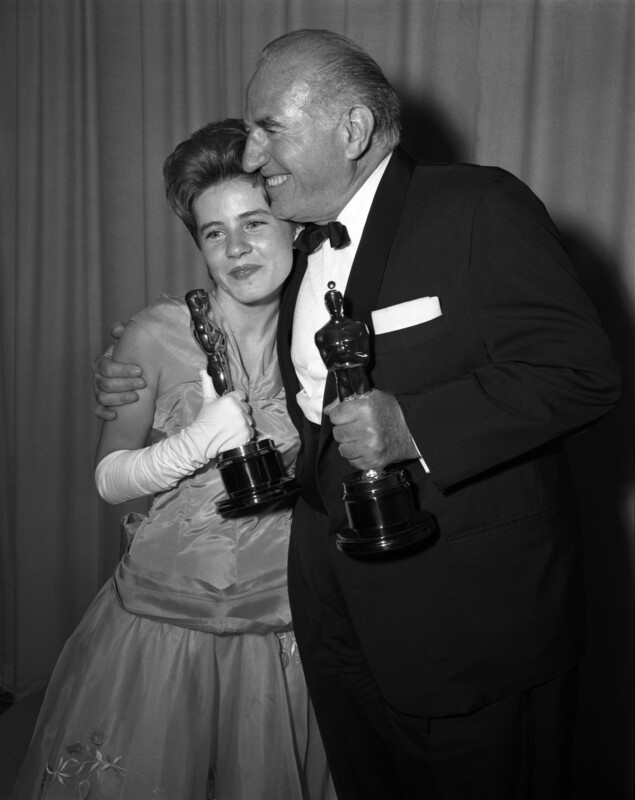 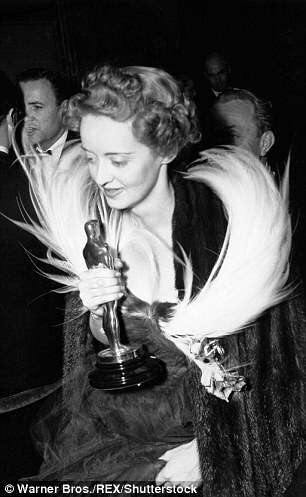 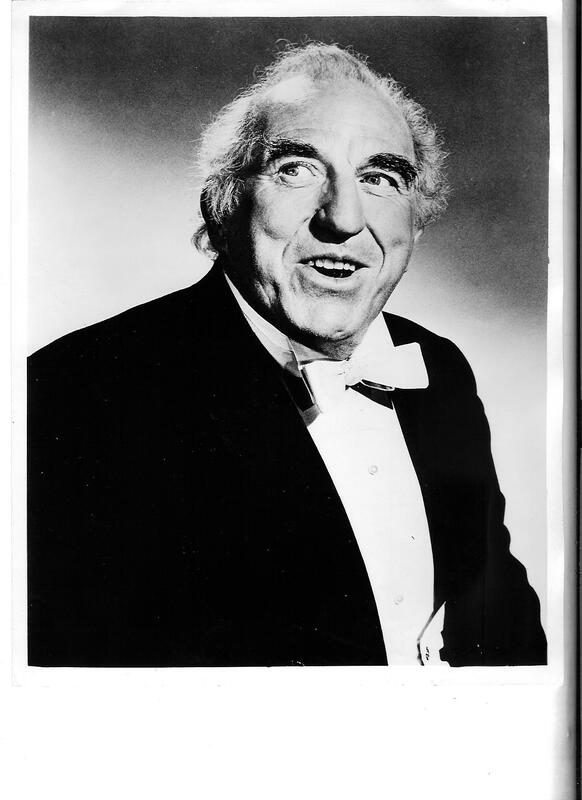 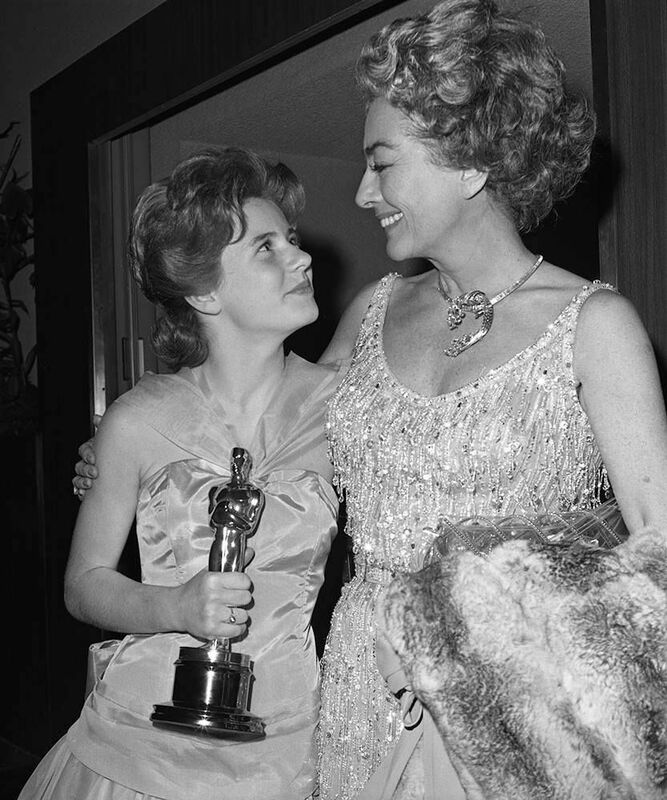 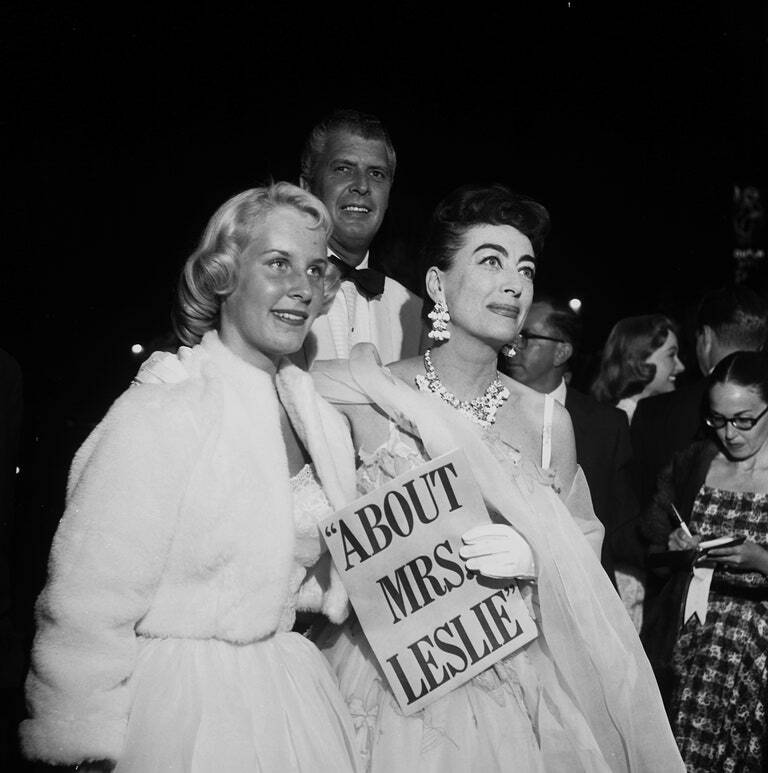 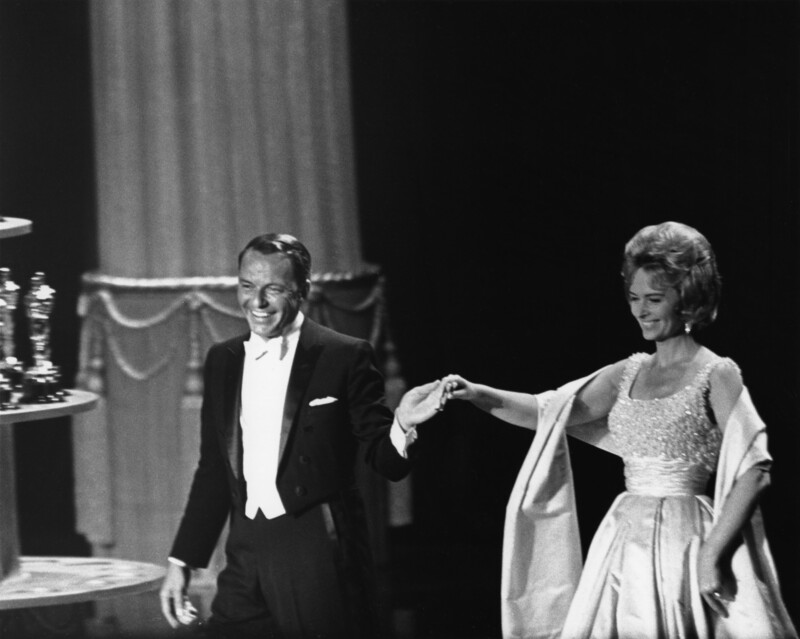 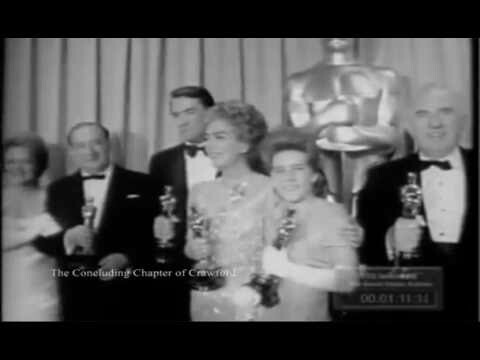 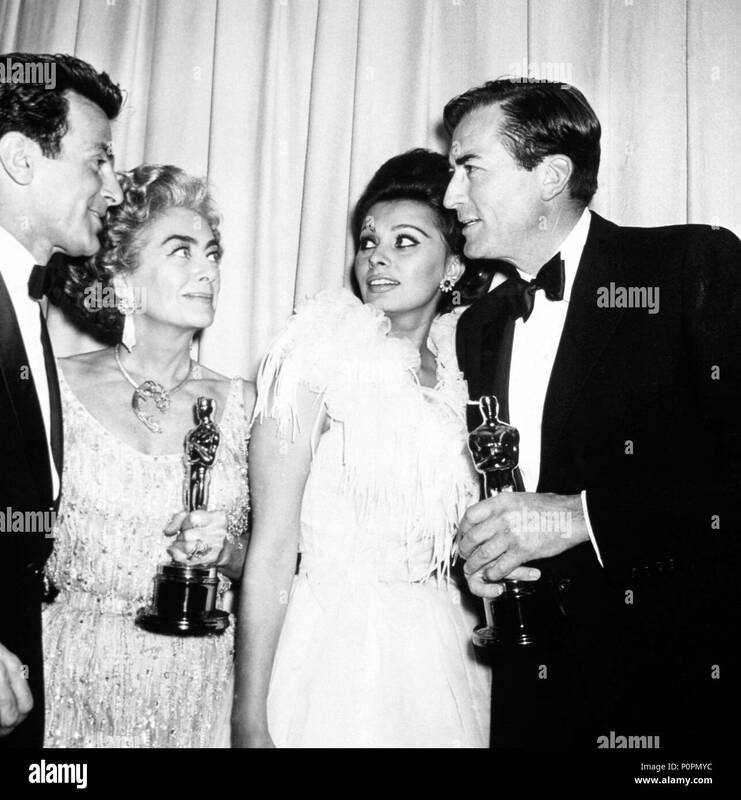 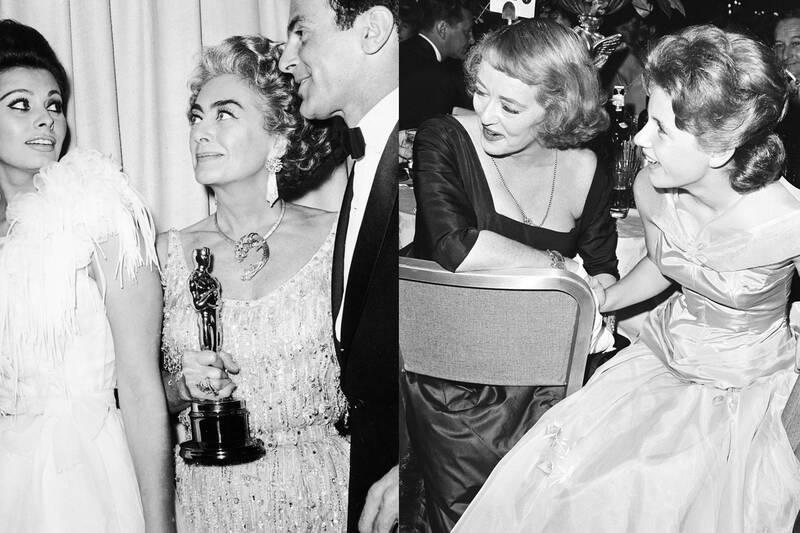 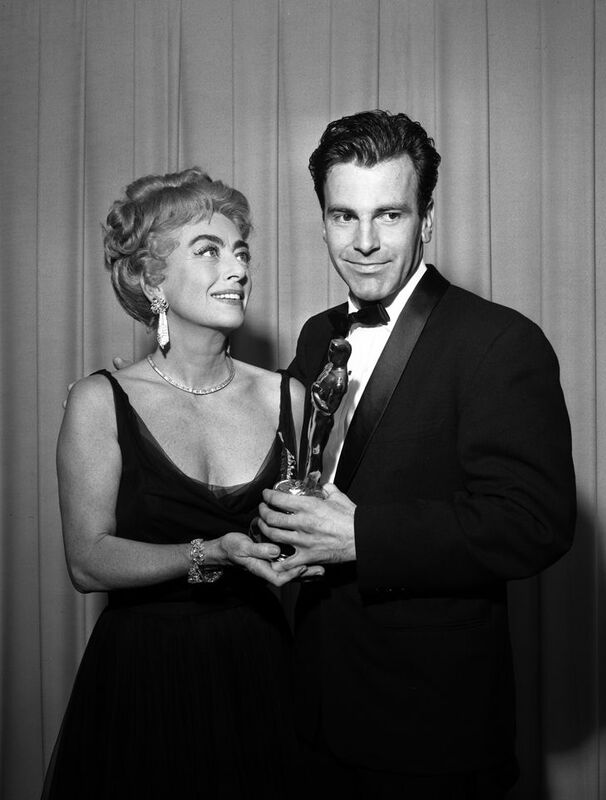 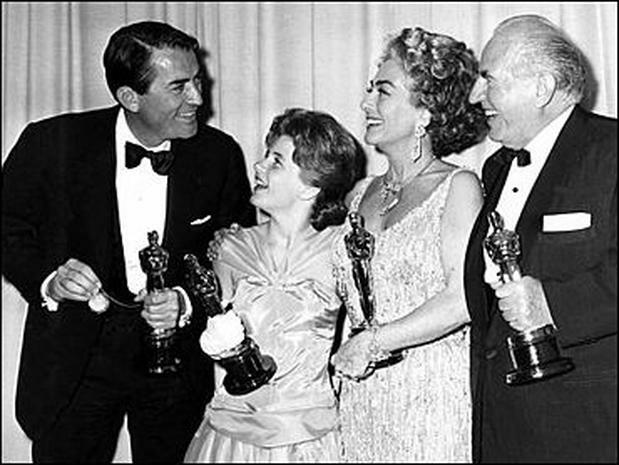 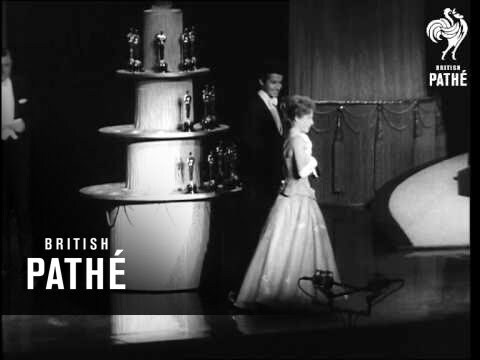 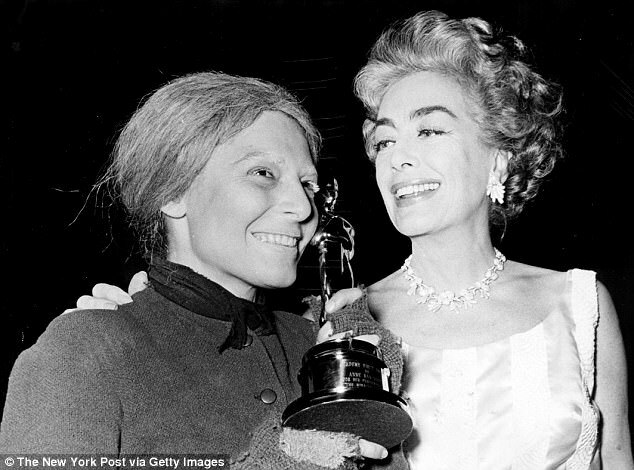 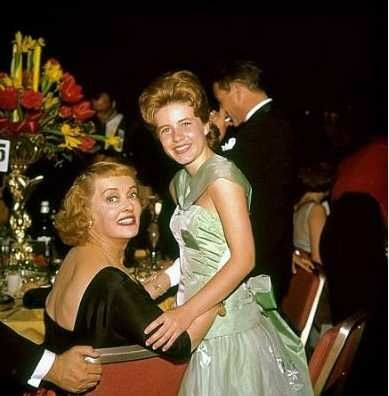 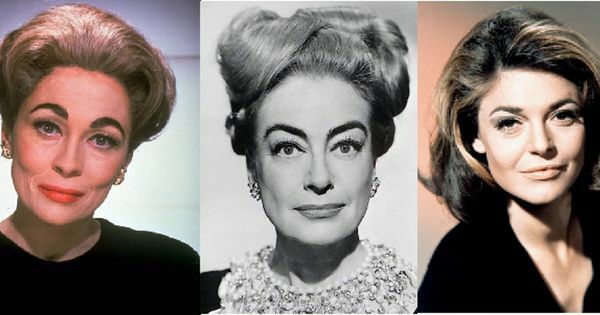 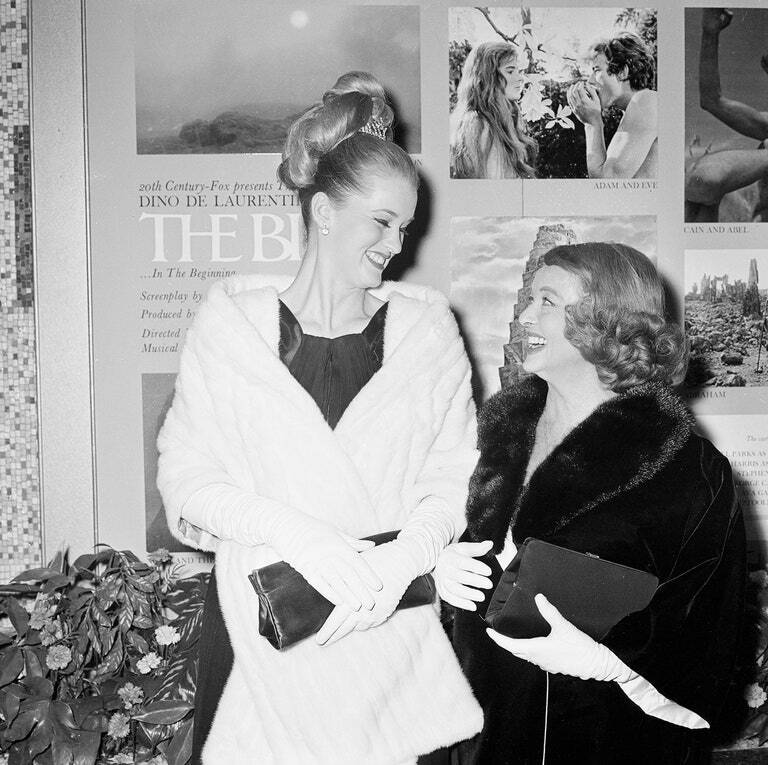 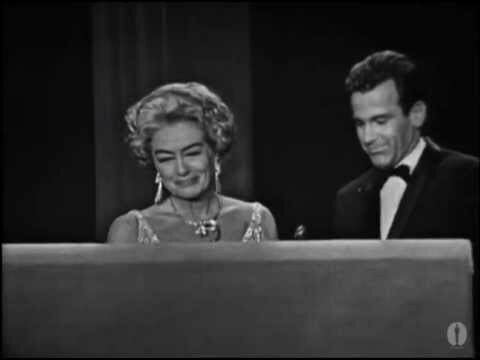 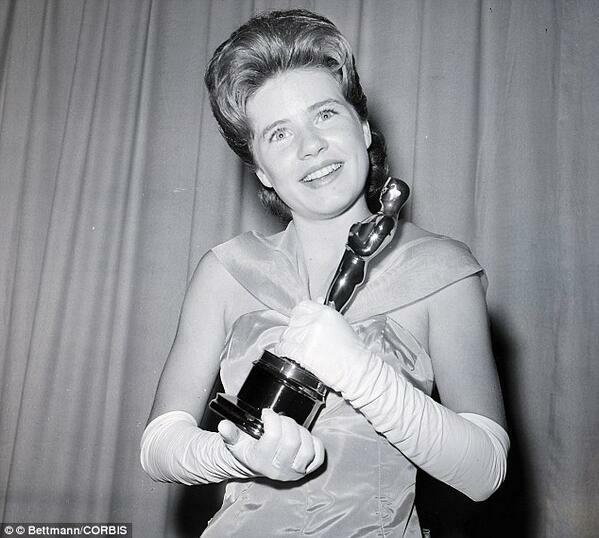 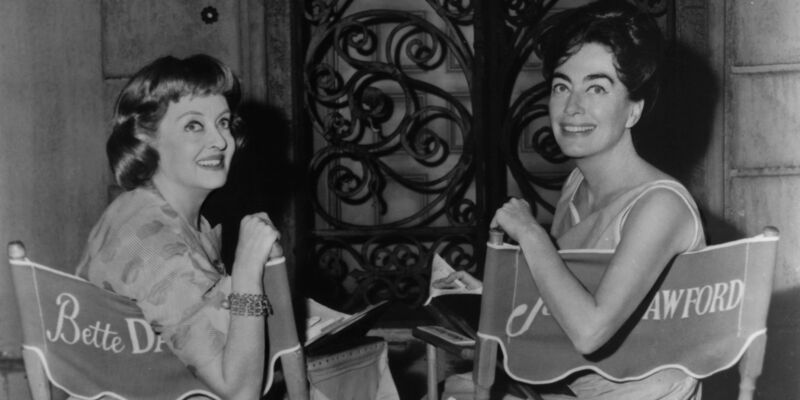 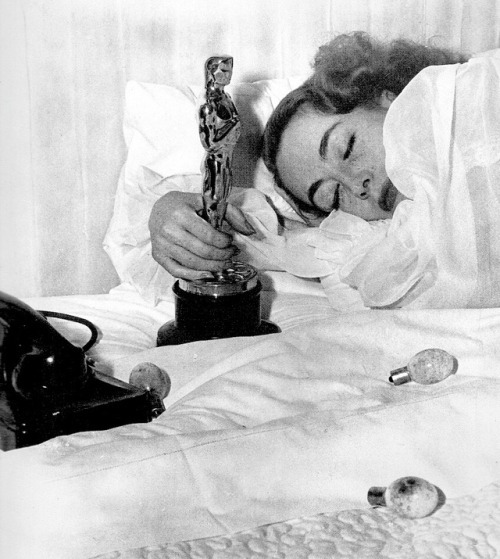 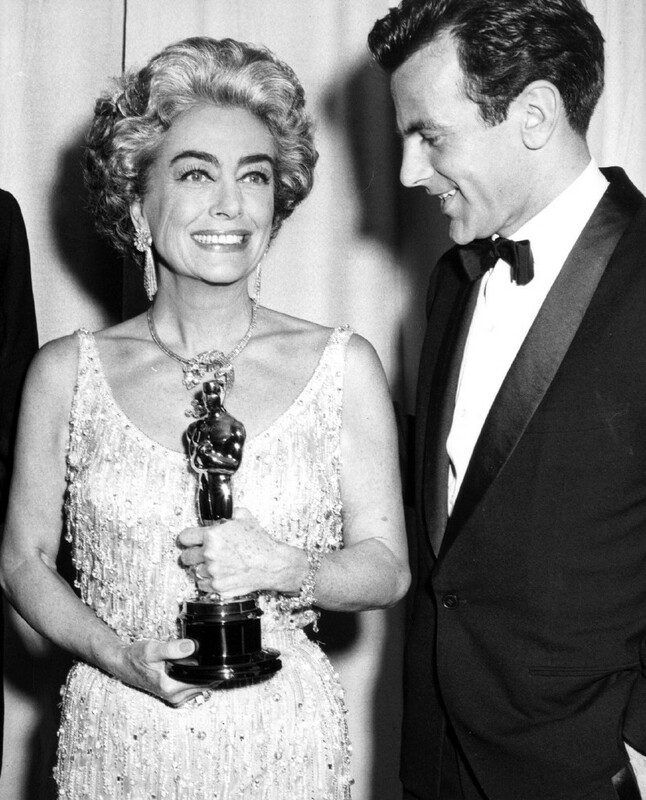 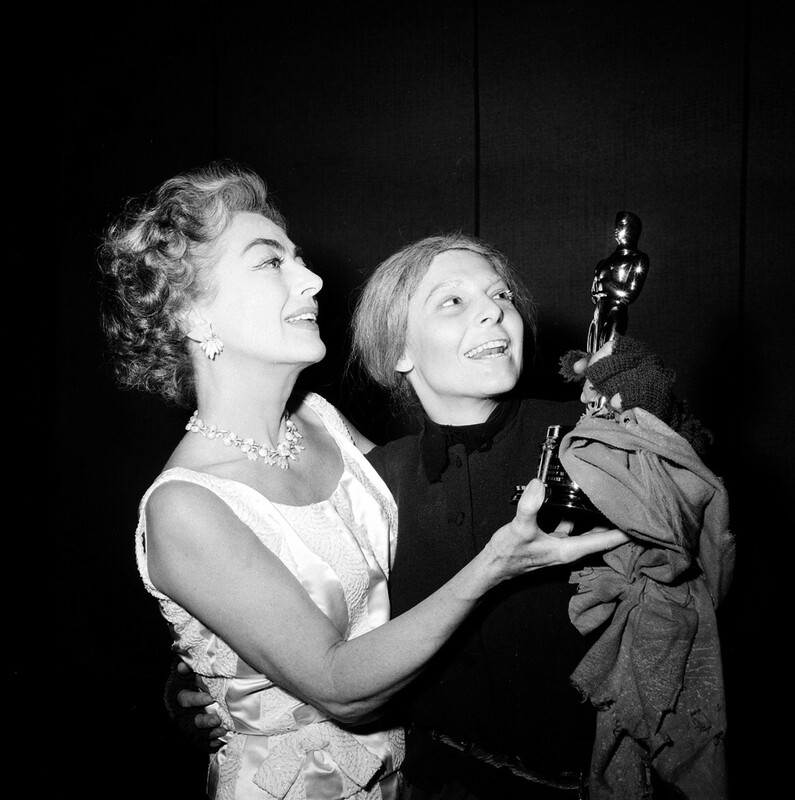 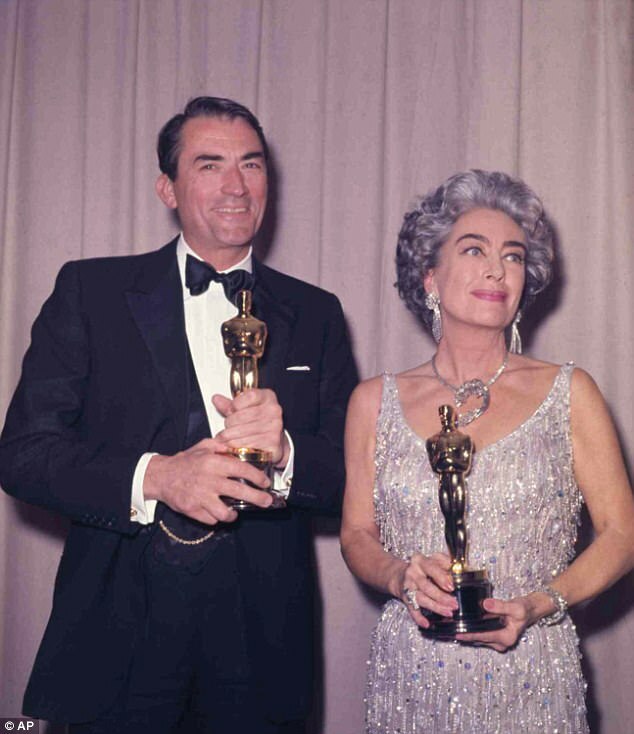 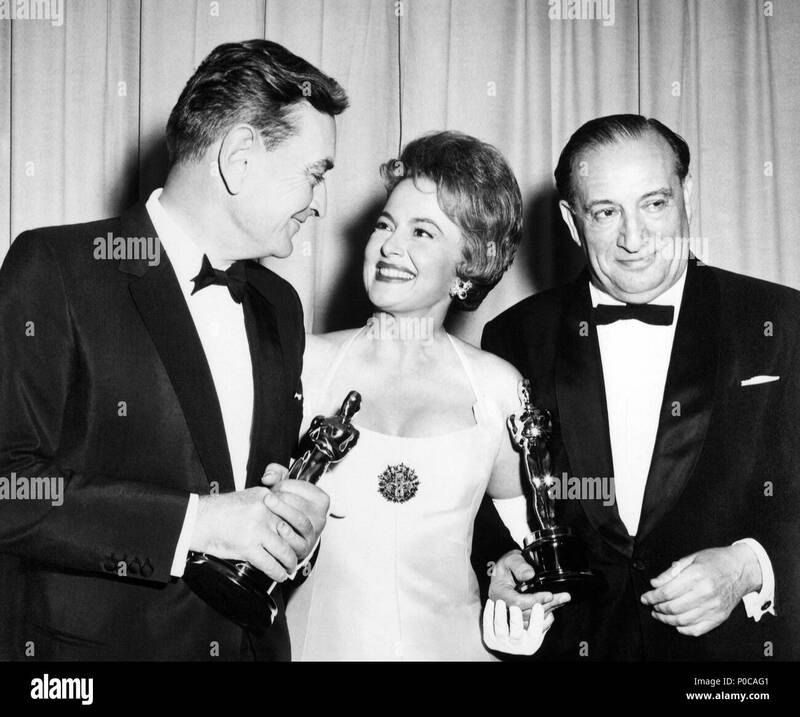 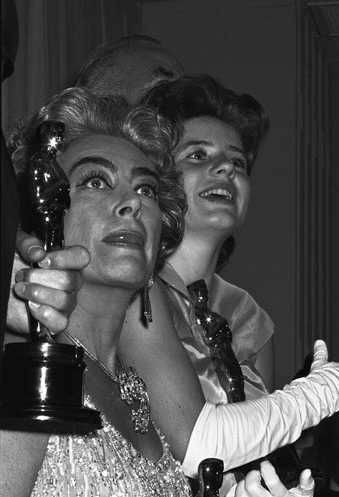 1963 Oscars: Bette Davis and Patty Duke, Best Supporting Actress 1962 for "The Miracle Worker"
Maximilian Schell receives from Joan Crawford the Oscar for Best Actor for his role in Judgment at Nuremberg (1961). 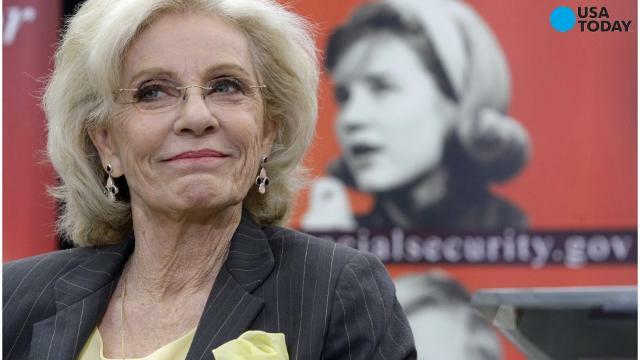 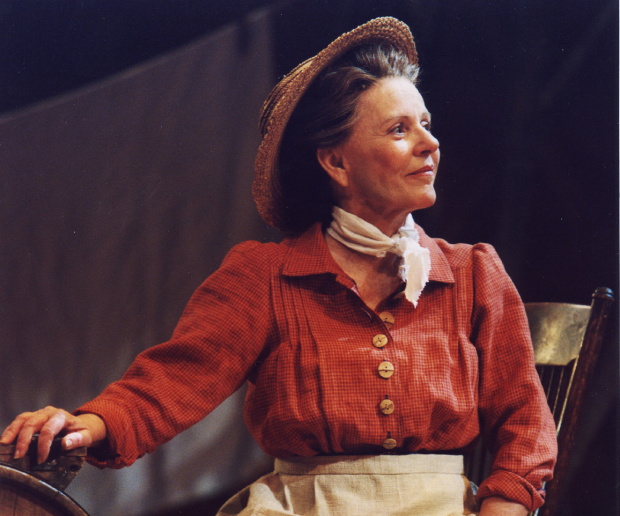 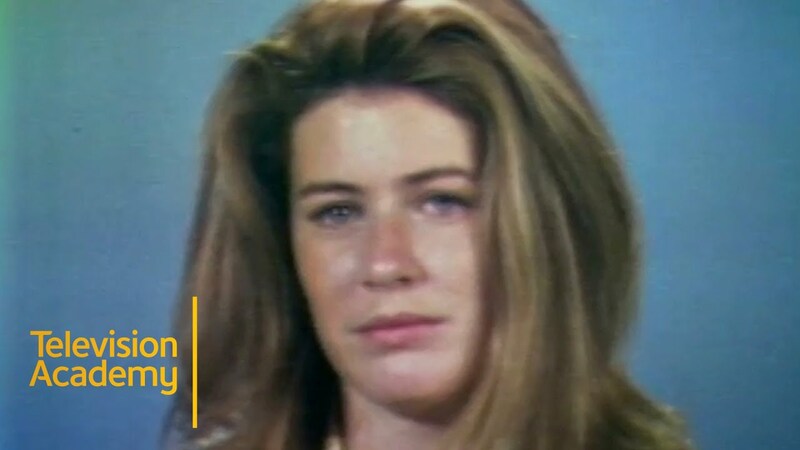 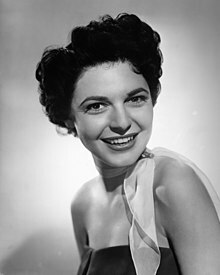 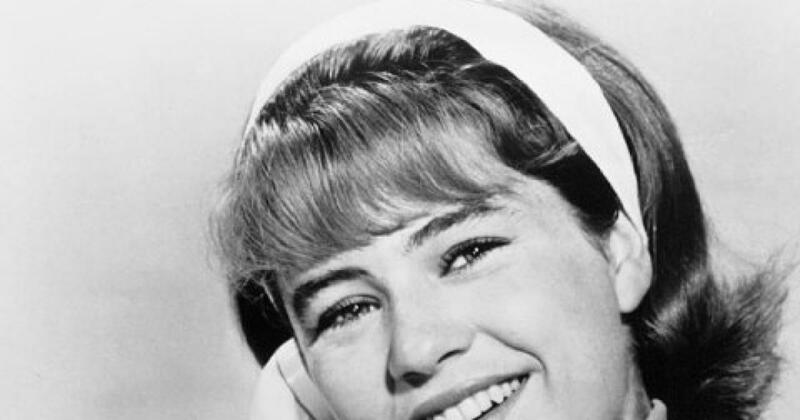 Patty Duke as Aunt Eller in the 2002 Broadway revival of Oklahoma! 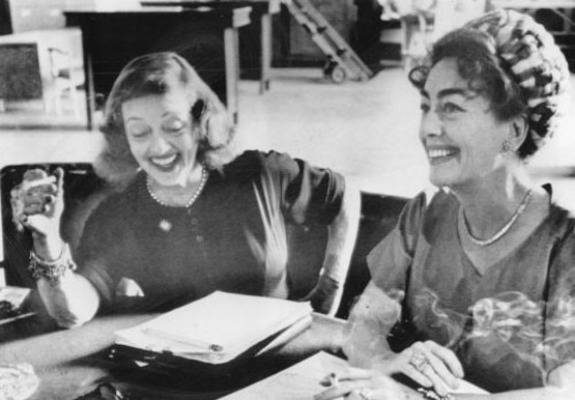 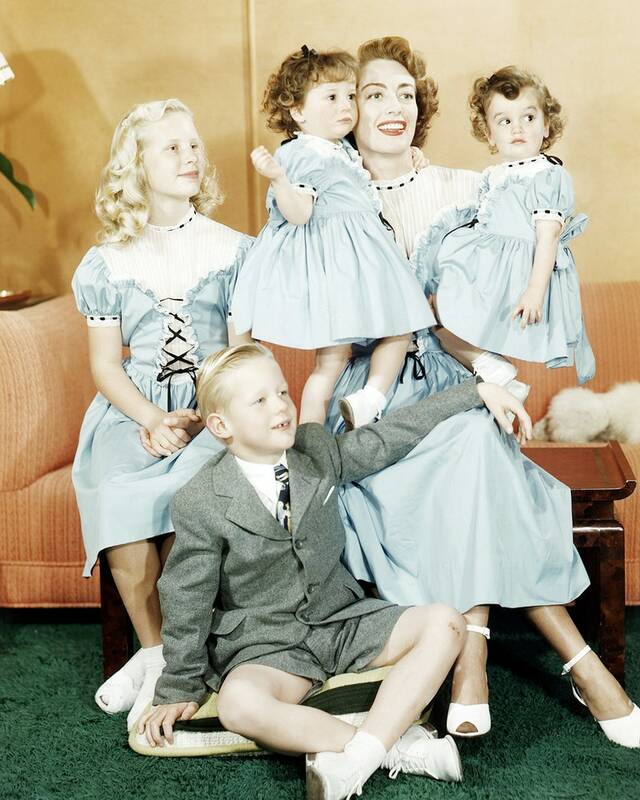 'Feud: Bette and Joan' promotional image via FX. 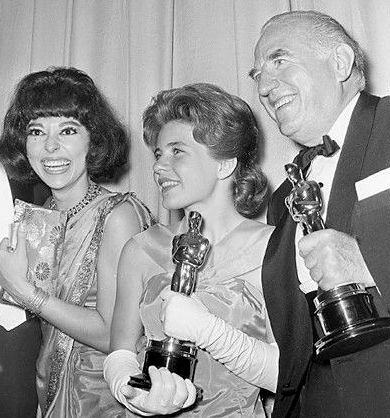 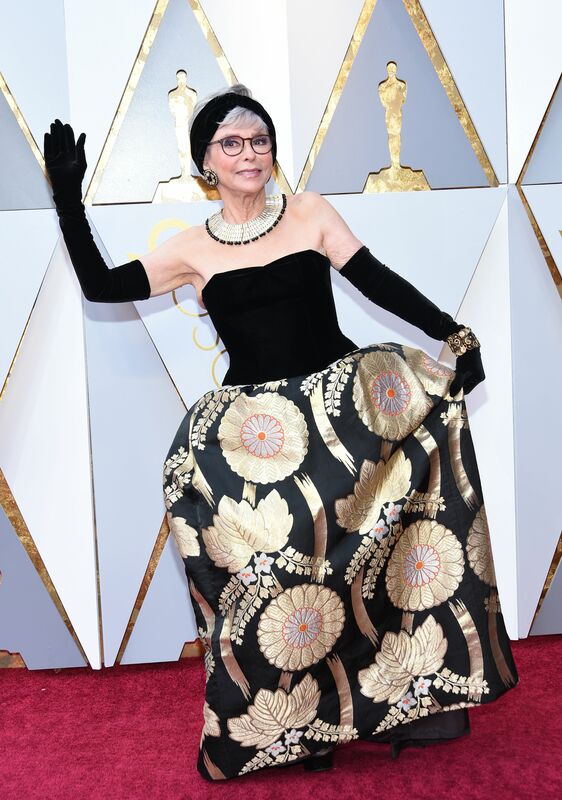 Oscar Luncheon Marisa Tomei Kate Winslet: Best Actress or Supporting category? 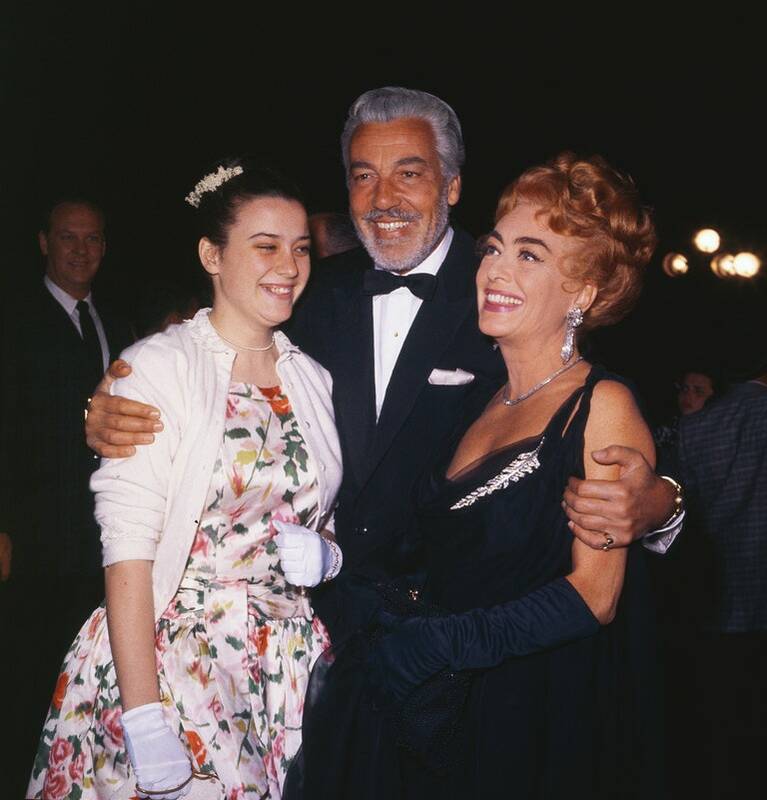 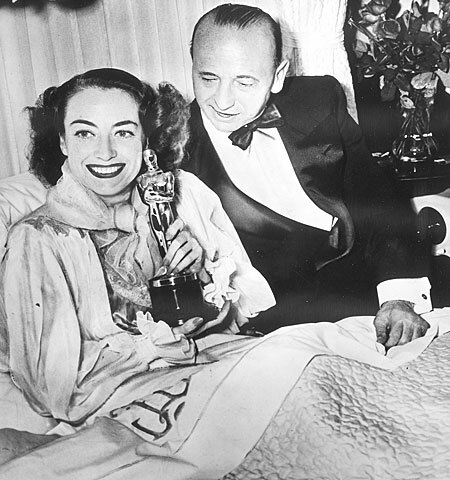 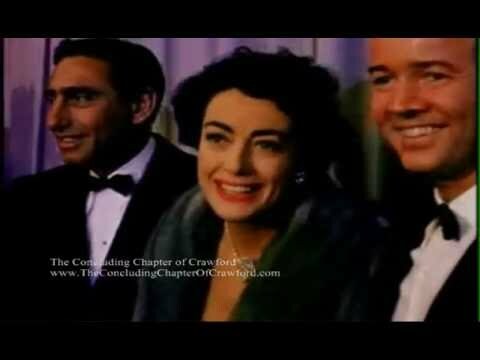 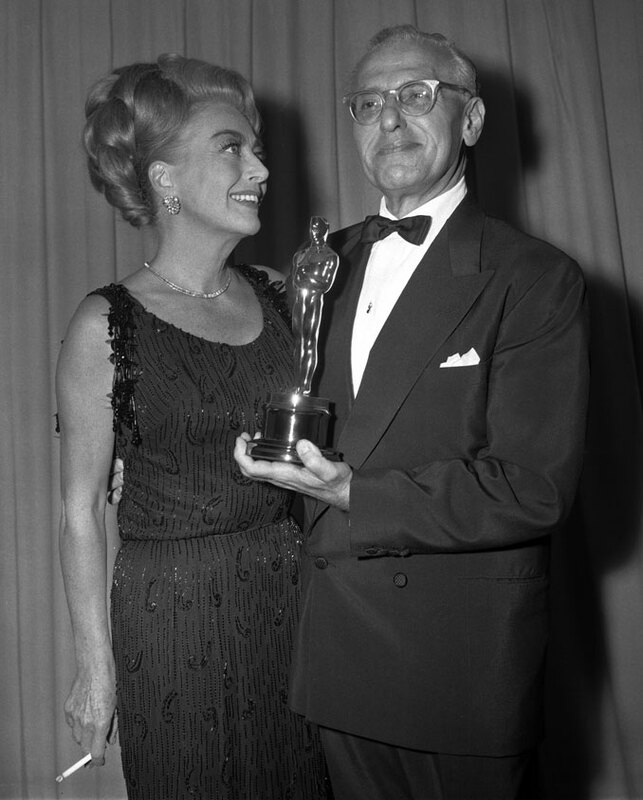 George Cukor, Best Director winner for My Fair Lady (1964), with presenter Joan Crawford.